Here are the stories most viewed on Sammamish Comment for the year. In a wild city council meeting, a surprise move by one of the so-called M4 council members to lift the building moratorium before work on the city’s traffic concurrency system was completed. The moratorium was adopted precisely to overhaul the traffic concurrency modeling. In the same meeting, it was announced that city manager Lyman Howard was out. State legislators, without public hearings or public comment, and in a surprise vote decided to exempt themselves from the state’s Public Records Act. Citizens, special interests and news media use the PRA to demand records at all levels of government, often exposing actions that need daylighting. Sammamish Comment uses the PRA extensively in Sammamish. Such daylighting often forces government to take actions or exposes wrongdoing. Legislators of both parties participated in this backroom, secret action and voted to exempt themselves. Gov. Jay Inslee went along. 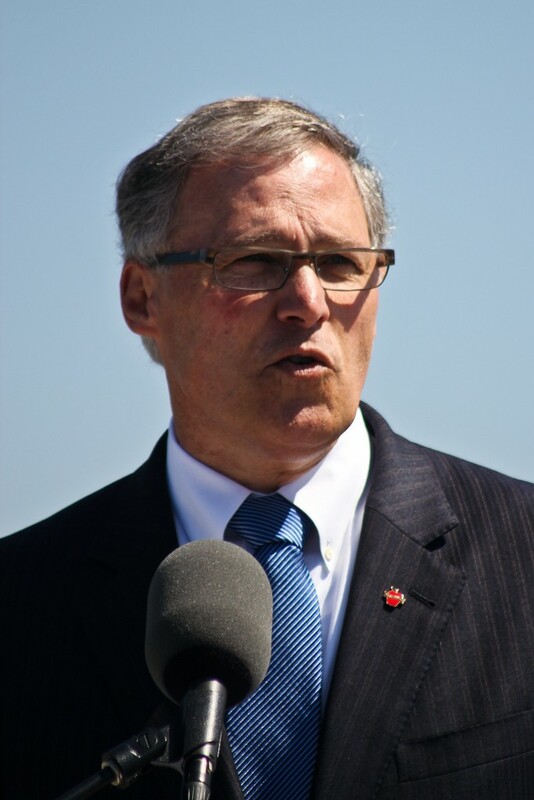 A huge public outcry, in which 20,000 people flooded the governor’s office with emails, forced Inslee to veto the legislation. The issue remains unresolved, however. Legislators are still trying to figure a way to exempt at least some of their records from public scrutiny. State legislators were the only ones to show disdain for their constituents. The Sammamish City Council. From left, Pam Stuart, Christie Malchow, Tom Hornish, Chris Ross, Ramiro Valderrama, Karen Moran and Jason Ritchie. In a surprise 5-2 vote, council members voted to advance a traffic concurrency modeling proposal that had known flaws and failed to live up to representations of staff and consultants. Nor was the model validated. Advancing a flawed model meant development was sure to be approved at the application stage, something that was the key problem with the old system. The vote represented a reversal of campaign pledges by the five who favored the new model. Using the tool of Public Records Requests (see #9), The Comment revealed that the city administration and the traffic consultants engaged to create a new traffic concurrency model met secretly. The emails revealed the top city administrative officials wanted to keep the meetings secret even from their own transportation staff, let alone the city council. In more controversy, in a 4-3 vote, the city council put a motion on the table to life the building moratorium on the Town Center at a subsequent meeting. The Growth Management Act isn’t this simple, however. The GMA also allows government to stop development if infrastructure can’t keep up. The Sammamish City Council in a split vote took a stand supporting the latter view. It would be the basis for controversy for the next year. After it was revealed Sammamish’s traffic concurrency model was based on manipulated data since inception, this threw into question the entire Town Center plan because it was based in no small measure on the concurrency modeling in effect at the time. This led some to suggest reopening the Plan or, in the extreme, even stopping Town Center development. It’s a complex issue that has no simple answers. This story looked at what is at stake. Even as Sammamish driver sit on congested roads, there was a concept to sharply up-zone the Town Center. It died a quick death behind the scenes. But as it turns out, up-zoning in Sammamish isn’t a dead issue; it is coming back in 2019. Approving the financial arrangements to build the community center was a controversial vote in the first place, involving taxpayer money. A contract was given to the YMCA to manage the community center. Sammamish Comment revealed that the Y’s own financial statements indicate the non-profit is siphoning $1.4m a year out of Sammamish, funds that some argue should be going to the city treasury rather than the YMCA. Public Records Act (see #9), Gov. Inslee said he couldn’t veto the bill because it was passed with a super-majority. The statement was poppycock. He could veto it to make a statement and let the legislators override it. But, it turned out, Inslee later acknowledged he had made a deal with legislators to not veto the bill. Sammamish residents didn’t like this any more than Sammamish Comment. This was the most read story of 2018.